Students will measure physical and chemical characteristics of marine and terrestrial environments such as temperature, salinity and pH and discuss the adaptations that plants and animals possess to cope with these conditions. Two terrestrial plants will be examined in detail to observe apecial adaptations and methods of temperature, salt and water regulation. Animal adaptations and features such as the senses, excretion, gaseous exchange, and the control of temperature, salts and water will be discussed in detail. 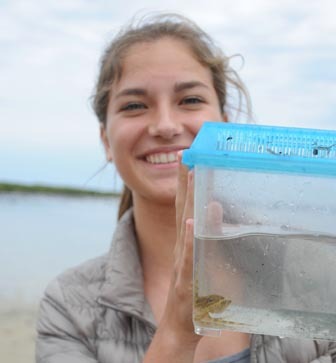 Students will catch an aquatic animal and a terrestrial animal for in-depth study. Two terrestrial plants will be examined in detail, one from a mangrove forest, one from the sand dunes, this allows students to observe special adaptations and methods of temperature, salt and water regulation.